You have seen those stupid headlines. They are everywhere. Buzzfeed, Viral Nova and Upworthy and on many other new age media sites, blogs and websites. 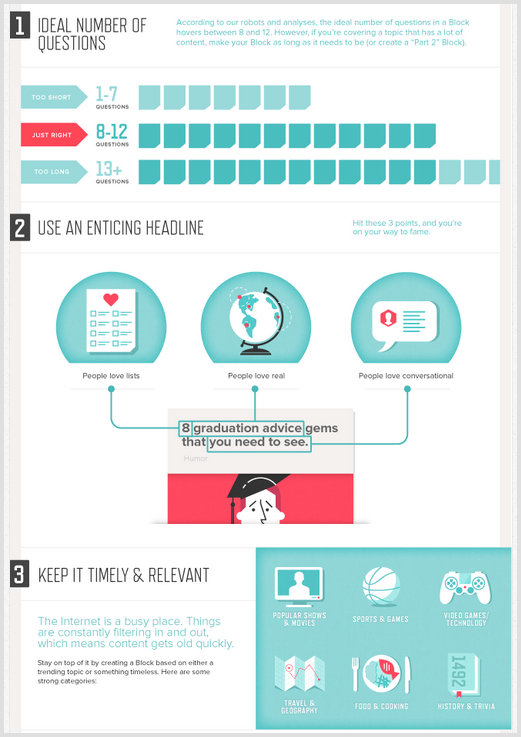 The headlines lead to content which are interactive quizzes. What character from “It’s Always Sunny in Philadelphia” Are You? Even though you know it is click-bait you can’t help yourself. You have to click. Why? They tap into our curiosity gene. Often they get 1 to 2 million views and are shared at high velocity on Facebook and Twitter. Quizzes are both an art and a science. You can create quizzes on a blog, Facebook or even a website. Quizzes are also like Apple products. Every few years a new edition comes out and the world is fascinated all over again. Take a look at the picture below; it’s two screenshots from Time Magazine side-by-side. The first one is from 2002 and the second is from 2015. However, they have the exact same title – they are both dog quizzes. The Internet is fascinated with these silly quizzes, so much so that virtually the exact same quiz can be popular twice, thirteen years apart. As marketers, quizzes present an interesting opportunity because of their stickiness and ability to harness the power of social sharing. The only problem is, simply getting shared or driving traffic doesn’t quite cut it unless we can show concrete results from our marketing efforts. Today I am going to show how three companies have created quizzes not unlike the Time Magazine dog quiz, but with a twist. These companies have tied a lead capture form to their quizzes, and together have brought in 6,232 new email subscribers. Let’s meet our three example companies, take a quick peek at their business models, and get an idea of how new email leads feed into their goals. First up we have Kroll Ontrack. This is a legacy technology company that does security for enterprises. For them, email leads go into a database the uses marketing automation to identify potential clients who can turn into customers who pay a lot to use the Kroll services. 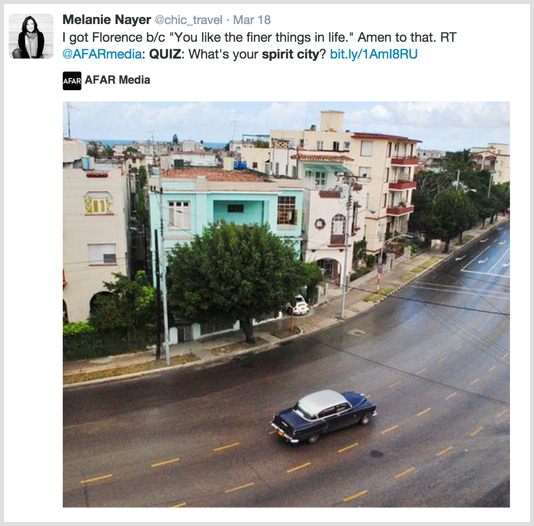 Second we have Afar Magazine, they are a rising travel website dedicated to feeding wanderlust. For Afar, new email leads means a larger list that can be contacted whenever a new travel guide or article comes out. Third we have Viewsbank. This is a company that pays people to take surveys, and their customers are large companies who need survey respondents. For Viewsbank, they use quizzes to reach more potential survey-takers so that they have a more appealing offer for large companies who want a diverse group of survey takers. These three companies rely heavily on email lead generation to fuel their respective businesses, join me as we examine exactly how they use quizzes to help their lead generation efforts and grow their businesses. Here is how to grow an email list using quizzes. I applaud Kroll Ontrack for their forward thinking. They are a well-established technology company that chooses to innovate rather than settling for the status quo. 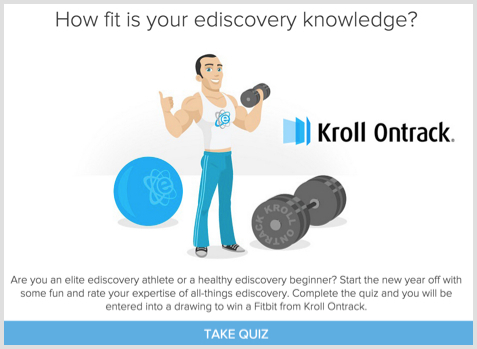 They came up with this fun trivia quiz to test potential future clients on their knowledge of Ediscovery (I’m not sure what Ediscovery is, but it sounds complicated). The quiz ended up bringing over 801 new leads that were fed into a marketing automation system to nurture the people along into customers, and that was from only 1,350 quiz takers. That’s an impressive conversion rate, here’s how they did it. Idea. This is the pub quiz concept. Pub quizzes have been around since the 1970’s and continue to draw crowds around the world. There’s something visceral about putting your knowledge to the test and pitting your wits against a machine. Kroll did a good job of making their trivia applicable to their industry, so that it appeals to the type of audience that could become their customers. Questions. 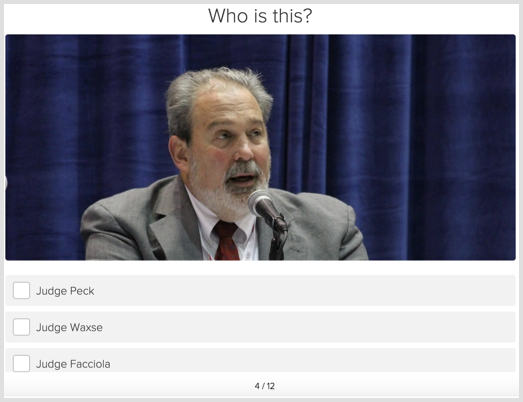 Quiz questions give businesses the unique opportunity to talk with potential users on a mass scale, even if it is a scripted conversation. For a lead generation quiz, the goal of these questions is to build up some trust with the person taking your quiz so that they’ll be more likely to opt-in when the lead capture form is presented. The Kroll quiz builds this trust by asking typical trivia-type questions. These questions make you think a bit, they are fun to look at and answer, they make you forget that you are taking a quiz created by a brand – exactly the right combination to set the quiz taker up for entering information at the end of the questions. Lead Capture. 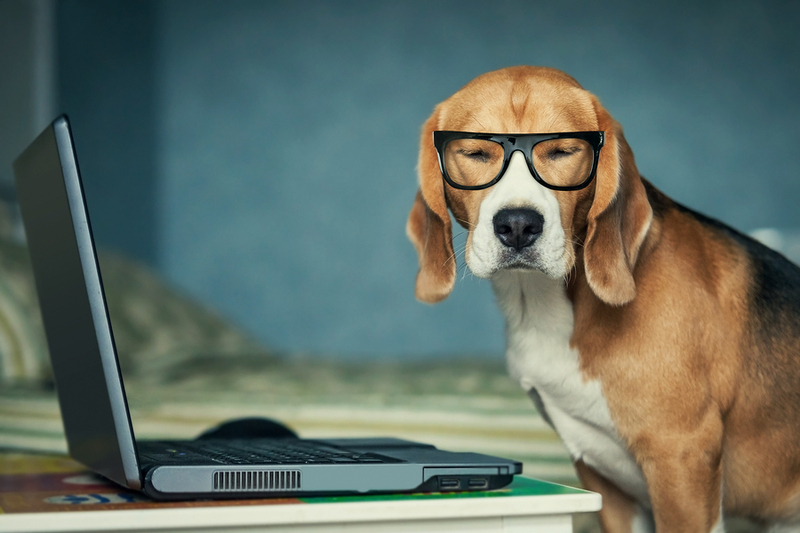 The unique lead generation capability of quizzes is their ability to put a “lead gate” between the questions and the results. The incentive of seeing your quiz results is a big part of the reason these quiz can achieve such high opt-in rates (this one was a 60% opt-in rate). However, it’s nice to add an extra opt-in incentive. 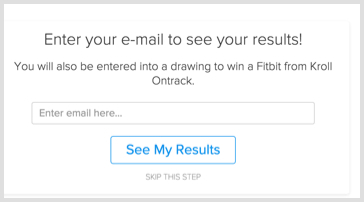 This Kroll quiz uses the offer of a contest as a secondary reason for putting in an email address. Share-ability. This quiz ended up being shared 187 times, which is a 14% share rate (14% of people who completed the quiz shared their results). Facebook and Twitter pretty much dominate the social referral traffic market, so in order to win the sharing game a quiz needs to be optimized for those networks. We tend to share things that invoke an emotional response in us. There are various ways to accomplish this, and each quiz takes a unique path to eliciting emotions. 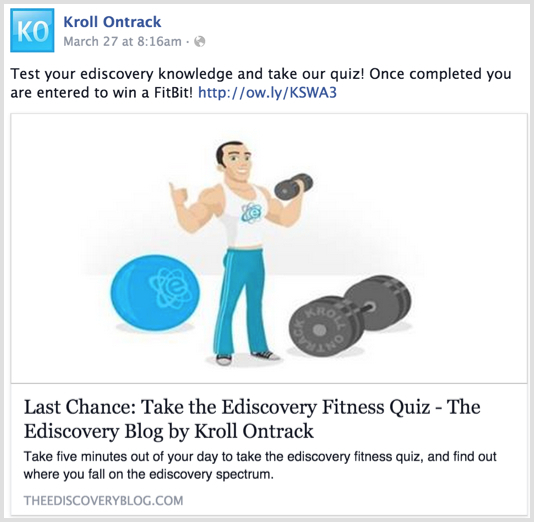 The Kroll Ontrack quiz brought out either pride or anger. If a person scores highly, they are prideful and want to share their knowledge. If they score low, the person is angry and wants to vent their anger on social media. “What’s Your Spirit City?” sounds exactly like something that would be printed in the pages of Cosmo in 1922. 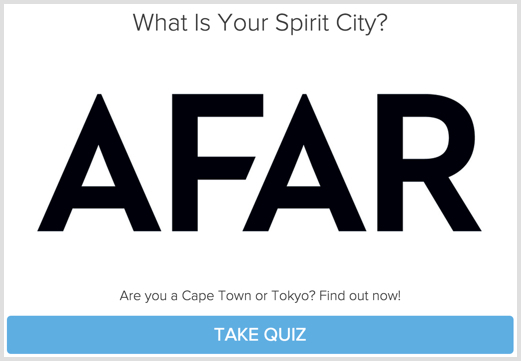 That’s not an accident – Afar Magazine understands that people enjoy sharing quiz results like what their Spirit City is. The good time this quiz provides led to 12,801 hits, and 4,240 new email subscribers. Here’s the play-by-play on the process for Afar. Idea. This is the narcissism concept. What I mean is that every spirit city is awesome – like Havana, Los Angeles, New York, there are no bad Spirit Cities. Afar knew this going in to the quiz creation process, and it’s the strategy behind the entire thing. By telling people they rock, but doing it in a believable format like a quiz, you can produce good feelings and increase opt-ins. Questions. The Afar quiz gets people to be introspective and think about what they are really like, but it accomplishes that in an enjoyable way. 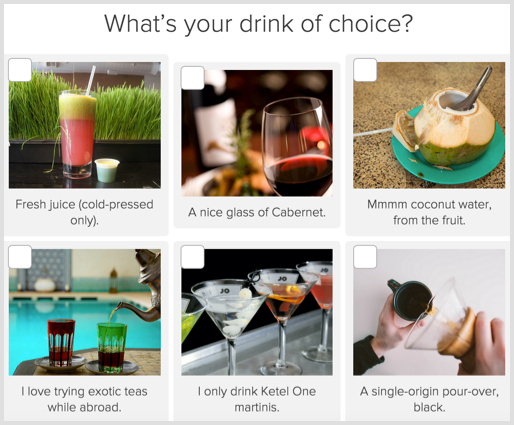 The example below is a question asking what your favorite drink is, with lots of vibrant pictures of beverages. These questions are the kind of back-and-forth banter that you might find among acquaintances in a pub, lighthearted, but still passing enough information back and forth to establish a real connection. For Afar, these questions serve as an icebreaker to a new visitor who finds this quiz through social media. Lead Capture. Now that the quiz taker has gotten a little taste of what Afar has to offer through this quiz, they are given the opportunity to opt-in and receive a newsletter with more travel inspiration. This form achieved a 29% opt-in rate. The main incentive here is to get more information about something you are obviously interested in, which is traveling. Afar left a clear skip option so as to eliminate tire-kickers, but was still able to get a strong opt-in percentage because the call-to-action was personalized to the quiz itself. Share-ability. This quiz was shared 2,043 times, which represents a 16% share rate. Whether people agree with their results or disagree, there is a strong response to finding out which city is your Spirit City. Again, going back to the idea that an emotional response leads to more social shares, when people see their quiz results on this Afar quiz they say things like “You like the finer things in life – Amen to that” (as shown in the tweet below). This is an outpouring of positive feelings towards the quiz because it is uplifting. 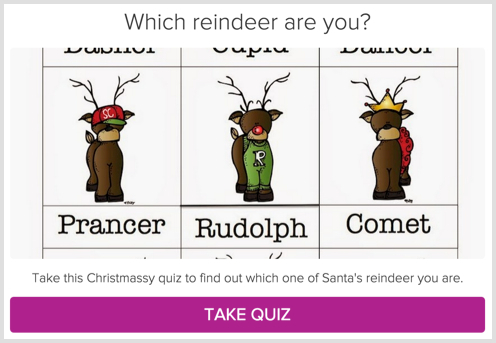 Perhaps the most “quiz-like” of all these quizzes is this one from Viewsbank – it’s called “Which Reindeer are you?” And I mean, come on – who doesn’t want to know which Reindeer they are? In spite of, or maybe because of, this goofiness, the Reindeer quiz was taken 1,647 times and brought in 1,191 new subscribers for ViewsBank. Why? Let’s find out. Idea. This is the holiday concept. Take a Holiday, make a quiz out of it. ViewsBank has done this several time – for Halloween, (“Which Monster are You?”) for Christmas (this Reindeer quiz), for Valentine’s Day. (“What Kind of Valentine are You?”) It’s a great concept, and one that’s easily replicable for any business. Questions. These questions get a bit psychological frankly. I feel like I started with a Reindeer quiz and ended up laying on a couch talking about my childhood. I think this juxtaposition between the silliness of the quiz and the somewhat seriousness of the questions is what provides the right combination to produce strong opt-in rates at the end of the quiz. Lead Capture. Viewsbank takes advantage of knowing that people who like quizzes might also like taking surveys. Their call to action asks you to opt-in to see what kind of Reindeer you are (obviously), but it also mentions that they’ll send you opportunities to take surveys for money. 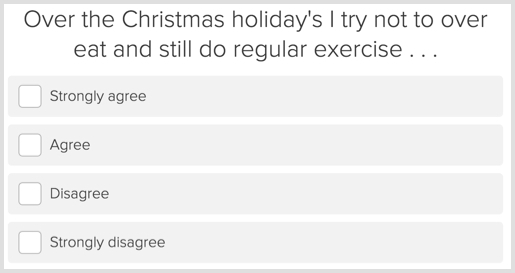 Surveys are kind of like quizzes, and you took the Reindeer quiz, so why not take surveys? Share-ability. Come on, who doesn’t want to tell the world what kind of Reindeer they are? This quiz was shared 194 times, which represents a 12% share rate. 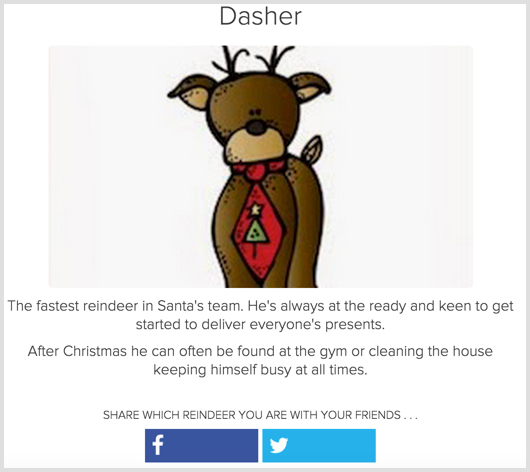 Again, they appeal to the quiz takers’ emotions with flattery “Dasher- The Fastest Reindeer on Santa’s Team” Even if this is a silly Internet quiz, I like hearing that I’m Santa’s fastest Reindeer. Just like Apple products, Internet quizzes just keep coming back in new forms, enamoring the general population who can’t help themselves when presented with something like “Which Reindeer are you?” As marketers we are responsible for capitalizing on content like this and turning it into new business. Hopefully one of the three examples we looked at today has sparked an idea for a quiz that will fit your business. I’d love to discuss quiz ideas or strategy in the comments!